Unity. 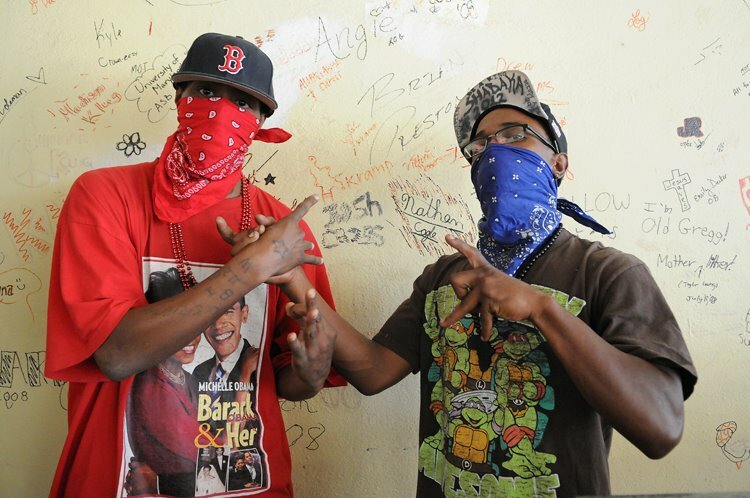 Rival street gangs, including the Bloods and Crips, put their differences aside to “take out” Baltimore cops. Breathtaking. This might be the most laughable moment of the entire Baltimore event. Police officials announced Monday they had received a “credible threat” that rival members of the murderous Bloods, Crips and Black Guerrilla Family street gangs “have entered into a partnership to take out law enforcement officers.” This shows the insanity of the MSM by not reminding you that more black youth have been killed along with innocent bystanders and collateral victims and not-so-friendly fire by gang violence than all the cop violence put together and combined. But it’s a great photo-op and some 20 year-old line producer probably thinks it’s cool. Or, better yet, a news director, hired on the cheap, sees only the image quotient and ,misses all together the message and reality. How Western media would cover Baltimore if it happened elsewhere. Karen Attiah notes inter alia the following in this brilliant observation. But please don’t mention Barry. The professional left has consistently protected their patron saint Barry and would never suggest for a moment that failed economic policies and the ravages of genocidal austerity and the cancer called free trade have been responsible for gutting Baltimore. That would take time an effort and research. Such as the following. In addition to Federal cuts, Maryland thug-in-chief Larry Hogan came to power promising more budget-balancing in the form of savage cuts to education and social programs serving the poor black residents of Baltimore. Hogan unveiled his austerity budget in January, which hits Medicaid reimbursements, K-12 education and state worker compensation hard. BALTIMORE — The state’s attorney of Baltimore, in a unexpected announcement, said Friday that she had probable cause to file homicide, manslaughter and misconduct charges against the police officers in the death of Freddie Gray, who died after sustaining a spinal cord injury while in police custody. The death, Ms. Mosby said, is believed to be the result of a fatal injury to Mr. Gray while he was riding in the van without a seat belt. As she announced the charges, there was cheering from people in the crowd. All six officers were charged, one with second-degree murder. Ms. Mosby said warrants had been issued for the officers’ arrests; she did not know if anyone was in custody. “We have probable cause to file criminal charges,” Ms. Mosby said. As Ms. Mosby spoke outside the War Memorial here, dozens of police officers dressed in riot gear stood nearby. The announcement came a day after the Police Department completed its initial investigation into Mr. Gray’s death and also handed its findings to Ms Mosby’s office.